Commonly, itchy skin is not something to fear of. It happens to almost every people. Normally, it’s a reaction from our skin and immune system to something alien to your body, like a mosquito bite. But it can be more than that, it can be a sign or symptom of some disease or condition, like allergy. And if you wonder what allergies cause itchy skin, here are some common type allergies people can have. Food allergy is one of the common answer to what allergies cause itchy skin. So many food can cause allergy, but it’s really specific to a certain people who have the allergy positive in their blood. The reaction vary each time, it can be mild at first, but next time can be more severe. But there are 8 types of food account for about 90 percent of all allergic reactions, they are eggs, milk, peanuts, tree nuts, fish, shellfish, wheat, soy. Drugs like aspirin, ibuprofen, penicillin, antibiotics, anticonvulsants, anti-inflammatory drugs, and even cosmetics are allergen to some specific people. 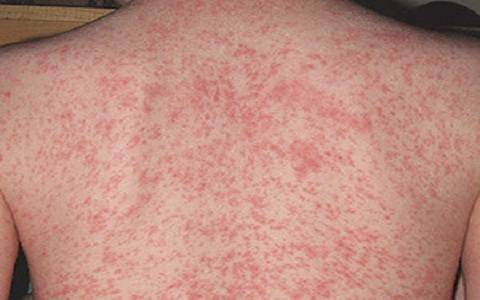 The reaction can be skin rash and hives which is the source of itchy skin, breathing problem, nausea, dizziness, and anaphylaxis. Another well-known answer to what allergies cause itchy skin question is pet or animal allergy. Dog or cat fur are most common allergen. Other animal like bee can also be an allergen, especially if you’re stung by it. Cockroach is also an allergen, they don’t bite, but they cause you trouble. Some people have a very rare allergy case, like allergic to sunlight. Direct contact with sunlight cause redness on their skin, itchy and burn sensation, fever, and other symptoms. On the other hand, cold weather can trigger allergic reaction like itchiness spreading all over their body. Seasonal allergy is also called rhinitis, a condition that affects 40 million to 60 million Americans. It occurs during spring, summer, fall, or winter. They are usually caused by allergic sensitivity to airborne mold spores or to pollens from grass, trees and weeds. One way to treat it is to have a better grooming routing during those season or by medication like decongestans and antihistamines. The best way to treat allergy is by avoiding the allergen. Because once you’re in contact with allergen, best case scenario is that you got a mild reaction, and you still have to deal with the itchy skin and all other symptoms. But when you don’t know yet about what allergies cause itchy skin on yourself, better test your blood to screen what allergies you have.